On July 9, 2016, while waiting to disembark from my plane, I turned off the “airplane mode” setting on my phone, and a text came through, “I won’t be able to pick you up today.” It was from my husband. I wasn’t alarmed; sometimes the world could be too much. Sometimes he couldn’t handle the cars darting about, the crowds of people; it could make him extremely anxious. It could be paralyzing. To me that text only meant I would have to take a taxi home. It’s just what it was. Then I walked onto the concourse, and my world started turning upside down. A voice over a loudspeaker summoned me to a white courtesy phone. From there I was met by a police officer who told me another officer, from the city where we lived, was en route to talk to me. That officer arrived, and I was informed that Jay had passed away. Impossible. He had just sent me a text. I was taken home to find my house surrounded in crime tape, and people from victim’s services waiting for me on my driveway. My husband, the person I had been with for 17 years, was now gone, and my home was a crime scene. Not only had I lost my husband, my best-friend, my co-conspirator, and my favorite person; I had lost my identity. I was no longer a wife, a best-friend, the other half of the best part of us. I had lost purpose. The house had fallen silent. There is a stigma associated with mental illness. A belief that if a person just tried harder, manned-up, not been a baby, they’d have been fine. A belief that a person is actively choosing to be miserable. So, let me set the record straight. Jay didn’t die because he was weak. He didn’t die because he couldn’t “fake it till he made it;” a regimen of “more smiling” wasn’t the cure for his depression. Jay died because he felt hopeless. Jay died because he felt that seeing one more doctor to adjust his medication was pointless, and that it ultimately wouldn’t change how worthless he felt inside. He felt another appointment with an ENT still wouldn’t fix his untreated sleep apnea. He felt like a disappointment. And the depression combined with extreme fatigue made him feel like he was going insane. I cannot begin to imagine how his last day ultimately unfolded, but I do imagine he felt that he’d finally get some relief. I imagine he felt like he’d no longer disappoint everyone in his life. He would no longer disappoint me. Let me say here what I had told him on many occasions: he was never a disappointment. He was beautiful. 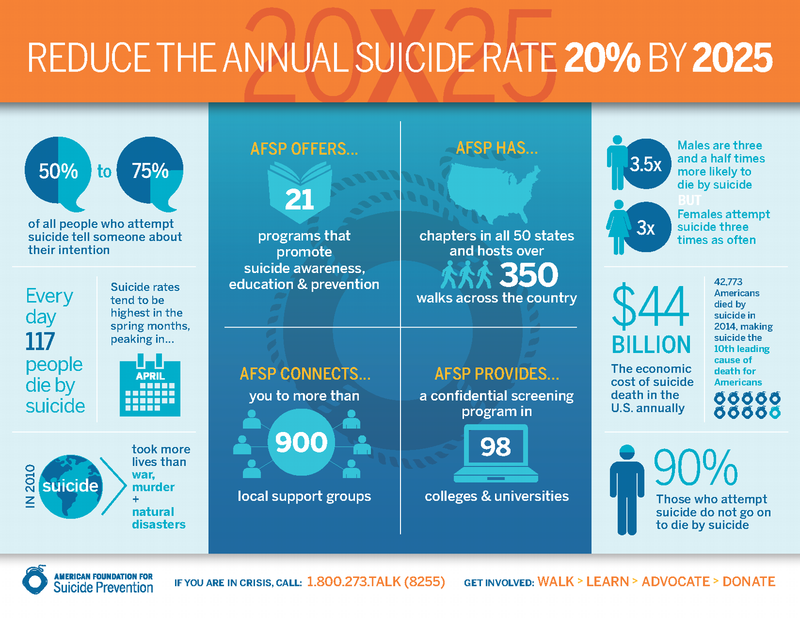 There is a stigma associated with suicide. After a week of being gone, I returned to work braced to read the condolence cards that were doubtlessly waiting for me on my desk. There weren’t any. My desk was exactly the same as it had been before I’d left. No cards, no flowers, no acknowledgment. In fact, some people who knew Jay had died avoided me. We thrive in our communities, and to be denied this thing that is almost a given was traumatizing. No one did it to hurt me; for the most part they love me. It was that no one was quite sure what to do given the circumstances. Those who didn’t know would innocently drop by to cheerfully ask how my vacation went, and I got the unenviable task of explaining, “Jay died.” I finally had to ask people to spread that news, because I couldn’t cope with telling one more person and watching their faces fall. If Jay had died of anything else, there would have been a card. I would have been embraced by my community. People would know what to say. They would know what to do. And because of that same stigma, I wouldn’t tell people either, because I knew I’d be judged. I hadn’t kept my house in order. I hadn’t stopped him. What was so broken in our lives that my husband would choose suicide? What had Beth done to drive someone to make that choice? I kept silent to avoid whispers. Next Saturday, on November 10th, I will walk in the Out of Darkness walk – a fundraiser for the American Foundation for Suicide Prevention. I will walk for my husband. I walk for my best friend. I walk for my favorite person. I will walk for me. On November 10th, my team will walk for a lost brother, son, uncle, and friend. A few will walk for me – to hold my hand, to peer into my face and see if I’m ok, and they will keep me strong as they continue on this endless vigil – my protective vanguard. Together we will walk to support the other survivors out there, the people who need strength, who need a reminder that despite the tragedy, they’re still here, and they’re still ok. We walk in the hopes that the funds we raise, the awareness this walk brings may prevent another family from joining us. We walk to help remove the stigma that surrounds depression and suicide. So I ask you one final time: Won’t you please join us? Whether it’s by spending a couple of hours walking beside us on November 10th to walk around the state’s capitol, or through a gift to this organization? I strongly believe that what this organization is doing for survivors, and for those who struggle is important, and it is vital. If you’re unable to give at this time, that’s ok. Share a kind word, a show of support, a story, something about your love for Jay, for me, for this amazingly strong and resilient family; it means the world to us. I think I can speak for everyone when I say that we love and appreciate each of you. A few words before I start. This post is for my nearest and dearest. Those who continuously put up with my insanity, and yet some how still hang around. It’s also a quick note to say that this was the post I meant to write at the beginning of the year. I also meant to send out Christmas cards, and well you all see how that went. Actually, you didn’t, because… well… I just blew it. Love you! I want to acknowledge that over the past year and a half navigating my emotions can be a bit like tip-toeing through a mercurial mine field. Without warning I can go from sunshine (and lollipops, of course :)) to wanting to crush all the things… with a sledge hammer… across someone’s head as Carmina Burana: O Fortuna plays loudly in the background. (Wait, you don’t have a soundtrack to your life, too? Oh, I’m the weird one. Mm hmm.) So, I thought I’d help you negotiate the path, by asking for your help in return especially as we edge closer to Jay’s birthday, our anniversary, and of course the anniversary. I need your unconditional support. Before you agree to it, hear me out as I break it down. Cue the sweet-sweet beat-box sounds. Support my goals. Whether you think I’m working too hard, or that I’m not working hard enough. Whether you believe I go too often, or merely wonder why I can’t go seven days a week if I’m going six. I need you to support me. “Why must you get up at 4?” That’s ok to wonder, but what I need from you is to merely say, “way to go!” It’s simple. I’ll worry about the other stuff. That’s my job. You may not agree with it or understand it, and that’s ok, too. Trust that I can also read, that I also have used the internet once, and that I’m quite capable of researching information. My choices are not up for debate. I’m actually an adult human being, so you’re going to have to trust me. Don’t call me out. Don’t suggest, “one glass of wine won’t hurt.” It’s great that you can eat baskets of chips and buckets of yeast rolls. You do you. Know that only three people are truly invested in my health. One of them is me, and the other two aren’t you, and that’s ok, too. Those guys will worry about that stuff. I love you guys. I love that you think I’m great, and you want to circle the wagons when it comes to dating especially if it involves rejection. You guys are awesome! A couple of things: I will always do my best to be safe. Please don’t send me a photograph of my car while I’m on a date to show you’re lurking nearby. It’s a little weird, and by “a little” I mean “a lot.” Thank you for giving me a story, but it’s a strange little story, right? Thank you for caring enough to stalk me. When I get security cameras installed, it might be partially to keep an eye out for you. When I get rejected, and that’s just going to happen, guys – probably a lot – brace yourselves – that’s ok. It’s not because the guy in question is a bad person. We just weren’t the right people for each other. It’s also ok if I’m a little heartbroken, and I mourn a bit. You have to understand I’m mourning more than this person, I’m also mourning the loss of Jay, and how much I wish I wasn’t finding myself in a dating situation at all. It’s not as big or as overwhelming as it once was, but it’s always under the surface. And here’s some of what I don’t need. I don’t need you to deride the person out of a sense of loyalty to me. I don’t need you to quantify that person’s place in my life or try to divine its meaning. Only I can do that. Unless you’re a renowned clairvoyant with a 99% accuracy rate, I don’t need you to tell me, “there’s someone out there, you just haven’t met them yet.” Many things could happen – I could be hit by a bus tomorrow. I could win the lottery tonight if I find the right store. I could take up tight rope walking or even or be discovered by a Romanian ballet troupe. There are an infinite number possibilities of things that happen to people all the time – things that could happen to me tomorrow. Unless you’ve got someone very specific in mind, you don’t know. That’s just something you say when you don’t know what to say – in an attempt to lift someone’s spirits. In an attempt to life my spirits. That’s incredibly nice. I don’t need my spirits lifted. I need you to listen. A good friend of mine and I were talking about this, and she expressed that it’s oftentimes hard to know what to say in those situations. Here’s my best advice. You don’t have to say anything more than to acknowledge the person’s feelings. “I know that must hurt.” “I know you were hopeful.” And maybe then you can offer advice or offer help. Sometimes what I need is a sounding board, a movie to watch, and a girl date to go clothes shopping. Or maybe I need a pedicure and a final decision on that phoenix tattoo. Or maybe I just need to mourn the loss of a boy, a dollhouse, and staying up late laughing in a garage without anyone telling me that the experience didn’t matter in the bigger scheme of things. In return, I’ll try to be more present. Though it’s still often more challenging than not. I’ll try to be a better friend who remembers there are other people in the world with their own significant struggles. I’ll try to tread a little more gently. And still you’ll need to sweep the field for mines, and understand that sometimes you’re just not going to see them before you hear that sickening “click” sound (just stand very still). Know the field is less littered, and each day the path gets clearer. Thank you for continuing to walk it with me. Having only a handful of readers also takes away a certain measure of accountability, “hey, only 10-12 people will read this so it’s ok if I lose my mind over some issue.” This false belief has lead to some carelessness on my part. There’s nothing more humbling than being told, “I read your blog,” wait, what??? “and I only realized how affected you were by something that was said when you wrote a particular rant” (paraphrased a ton) by someone whom you didn’t realize knew you had a blog, and whose dear friend it was you wrote a scathing piece about. Err… whoops. Not my finest moment. Or you get an email from your Jr. High bully asking, “hey, is that me? Oh yeah, I remember you now” where you learn a lesson in the power of the internet, and why using full names maybe wasn’t your finest moment. These experiences have made me more keenly aware that this isn’t my private island of 10, though I admit it more often than not still feels that way. Someone recently told me in regard to this space, “you don’t know how your words affect people” which was extremely humbling. So, this is a shout-out and a thank you to all of those other readers whom I sometimes forget I have. To Melissa, Jenn, Heather (you are strong, and amazing – though we haven’t met, I hope you know I think you’re great; I believe in you), Drew, Jerry, Jim, Julie, Heather B., Denise, Roanna and David (actual gifted writers), Lynn, Tori, Gail, and Irina (thank you for keeping me sane in the real world and for allowing Buddy to talk politics openly – sorry about Marine le Pen, Buddy). To Brandi who is one of the toughest people I know with a heart of pure gold, and Meredith who makes me laugh more than she knows. To Lori (I believe in you, too. You got this.) To Karen (I may not always comment, but I enjoy everything you write). And to Dale, you’re a PITA, but you’ve kept me grounded through some dark times (by being a PITA – I think that’s your secret). To the 10ish: Anna, Jonathan, Dad, Charla, Seth, April, Aunt Philis, Kim, Tony, HRH DeAnne, Kati, and Shari – you’re troopers to survive all the years of my blog nonsense, and for encouraging me (and for once asking me about t-shirts – I did look into it, but the image was too small to work with). To everyone else who follows me along this bumpy ride of life, I may not know your name, but I appreciate you and thank you. And to Scott and Carolyn, whom I miss more than words could ever express – thank you for your encouragement – for suggesting I was funny, for cheering me on all those years. This world is a little less bright without your beautiful and gentle light. All of you make for one amazing set of 10 on this island of mine.